Sunday Update: Warner's Gravity broke out this weekend with an estimated first place take of $55.55 million. The Alfonso Cuarón directed sci-fi drama starring Sandra Bullock and George Clooney set a new unadjusted opening weekend record for the month of October, which was previously held by 2011's Paranormal Activity 3 with $52.57 million. When adjusting for ticket price inflation, 2003's Scary Movie 3 is still on top with an adjusted debut of $65.11 million (from an actual gross of $48.11 million). Thanks in part to a growing number of strong critical reviews, expectations had been rising for Gravity in the weeks leading up to its release. 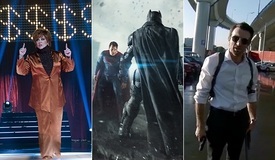 The film ultimately soared above those rapidly rising expectations this weekend, with the mentioned strong reviews, a strong marketing campaign, Sandra Bullock's presence (which helped the film's audience expand beyond that of many other sci-fi films this year) and very strong sales in the higher priced 3D and IMAX formats all being major factors in the film's opening weekend success. Saturday Update: Warner Bros. reports this morning that Alfonso Cuarón's Gravity debuted to an impressive $17.525 million on Friday, including Thursday night's $1.4 million grosses and $3.61 million from IMAX. That puts the dramatic sci-fi pic on pace for $52 million this weekend--topping 2004's Shark Tale ($47.6 million) as the best October debut for an original film. Overall, Gravity is aiming for the best October weekend, currently held by Paranormal Activity 3's $52.6 million. 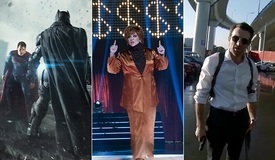 WB's aggressive marketing succeeded in spades for the Sandra Bullock-George Clooney flick, both of whom claim new career highs with the film (topping $42.9 million for Clooney's Batman & Robin and $39.1 million for Bullock's The Heat). The studio pitched the groundbreaking visual effects-driven film as a fall event for audiences in the wake of phenomenal critical responses out of last month's film festivals. 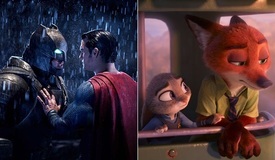 Early word of mouth among regular moviegoers appears strong, too: CinemaScore came in at a strong "A-" while the film's Flixster user rating has risen from 90 to 91 percent over the past day. With awards buzz assured to follow at this point, Gravity is poised to enjoy a healthy box office run throughout the fourth quarter. The weekend's second opener, Runner Runner, struggled to gain in traction in the shadow of Gravity. The Justin Timberlake-Ben Affleck thriller pulled a tepid $2.75 million on Friday (including $200k from Thursday night). Poor critical reviews may have contributed to this disappointing opening, but overall general audiences didn't seem interested in giving Affleck a chance as the villain of a film. Meanwhile, Justin Timberlake's drawing power at the box office again proves minimal. Runner Runner is on track to bank just $7.7 million this weekend--marking Affleck's lowest debut for a wide release since 2006's Hollywoodland ($5.9 million) and falling well short of Timberlake's In Time ($12.1 million). 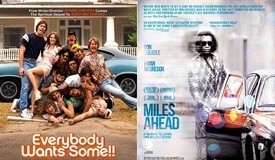 The film's CinemaScore is "C", while Flixster users have voted the flick down to a dismal 37 percent score. Friday Update #3: Sources now tell BoxOffice that Gravity could end up with as much as $48 million this weekend. Meanwhile, Runner Runner seems poised to end up slightly below $10 million. Friday Update #2: Sources tell BoxOffice that Gravity is headed for an opening north of $40 million based on the strength of early Friday grosses. That's an excellent start for the space thriller. 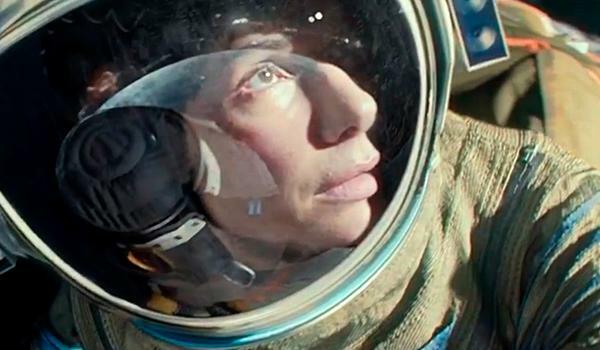 Gravity is already beloved by critics, but now paying audiences are falling for it as well. If word of mouth explodes this weekend, then don't be surprised if Gravity hits $45 million. Runner Runner looks poised for an underwhelming debut somewhere between $10 million-$12 million. That's a poor start for a film that boasts the combined star power of Justin Timberlake and Ben Affleck. Check back tomorrow for official studio estimates and updated weekend projections. Friday Update: Warner Bros. reports that Gravity took in a healthy $1.4 million from Thursday evening shows. 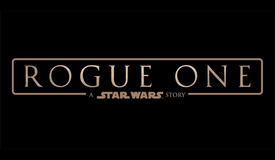 The opening marks a promising start for a film that isn't part of an established franchise. It's clear that enthusiastic reviews from the majority of critics--Gravity currently boasts an impressive 98% approval rating on Rotten Tomatoes--is having a positive impact. Warner Bros. couldn't get better reviews if they hired someone to write them. Nearly 52,000 Flixster users have combined to give the space thriller an impressive 90% approval rating--an early sign that word of mouth is going to be strong. We expect Gravity to start off well on Friday and then really surge on Saturday. Our weekend forecast is $42 million.